Craft Acrylic Stickers 1Sheet. Insert Card Size 19.7 x 7.3cm. 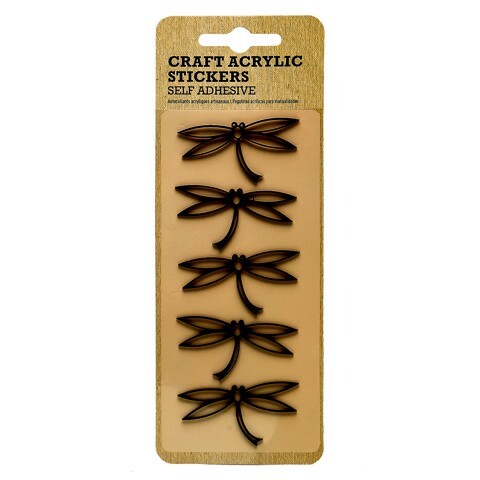 4 Assorted Black Designs: Arrows| Numbers| Butterfly| Dragonfly. Acrylic 0.12mm. 8g Packaging: Hang Sell OPP Bag with Insert Card.